Two people died Tuesday night in Culpeper, Virginia in a case of murder and domestic assault that police say reached into the home of two caring neighbors. Willis N. Walker Jr., 49, went to the home of his estranged wife in the 13000 block of Gray Street just before 9 p.m. Tuesday. The two argued, Virginia State Police said. After Walker threatened his wife at gunpoint, she ran from the home and to a neighbor's house, where she banged on the door to get in, police said. The neighbors, a 70-year-old woman and 74-year-old man, let her in and locked the door. But police said Walker forced his way inside. Once inside, he shot and killed the 74-year-old man, identified as James Stewart, and then searched the house for his wife, whom he found and violently assaulted, police said. Police said he beat her until he thought she was dead. The 70-year-old woman, who was hiding inside the house, called 911. When Culpeper County sheriff's deputies arrived, Walker went outside with a shotgun and threatened them, refusing to comply with their commands, said Virginia State Police. He walked toward the deputies and threatened them with the shotgun before one Culpeper County deputy shot Walker, authorities said. Walker died at the scene. His estranged wife, 51, was taken to a hospital with non-life threatening injuries. The woman who called 911 was not injured in the incident. Virginia State Police are investigating both fatal shootings. 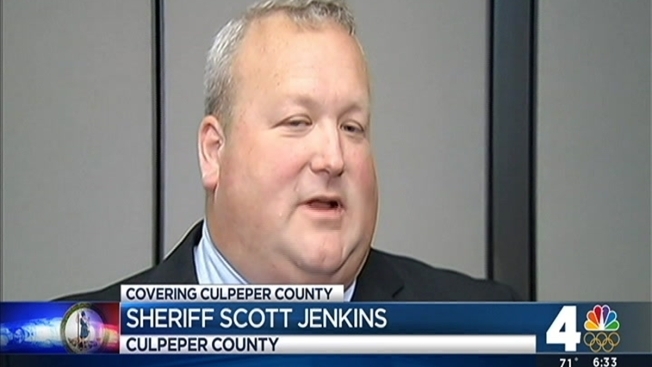 The Culpeper County Sheriff’s deputy who shot Walker is on routine administrative leave during the investigation.